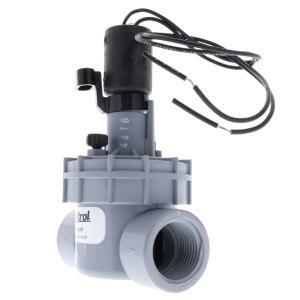 The Irritrol 2400TF valve, available with 1" FPT connections, is extremely versatile. Includes several key features, such as, flow control and manual internal and external bleed, that are popular with agriculture and greenhouse growers. The wide flow range makes the 2400TF a good fit for a host of drip irrigation applications. This economical valve has a good reputation and a five year manufacturer warranty making them an easy choice for everyone.